I just spoke with someone who has been inwardly tortured by beings, entities, spirits from another dimension. In this man’s own words, they have ruined his life. 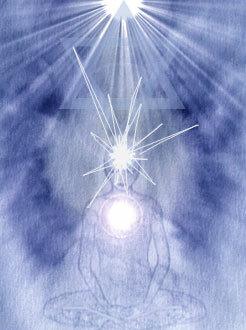 When tuning into the energy pattern of what is occurring, I sensed that the beings are ready to be free. But is he? This is a very dramatic example of a symbiotic relationship and one that requires us to be crystal clear as to not only what we desire, but with whom and what. Loneliness, fear, and feelings of abandonment are harsh realities and experiences that attract lower energies to us. As harsh as these energies can be, without the comfort of love around us, we can actually choose to stay in these lower realms. They may be horrible but at least there is comfort in the known. Take this premise and apply it to any part of your life, and you will sense just how challenging it is to let go of habitual ways of being and doing even when we say we really don’t want to like what is going on. So, how do we say goodbye to something that no longer serves us? The answer is found within us. No matter how much we reach out to others to solve our own challenges, it always calls us back to self. Within the self is an internal alignment and relationship within the context of the heart connecting to the soul. The heart intrinsically knows the way back to this most sacred alignment but it takes courage to let go of the dependency on the drug of fear. Taking up the practice of inner stillness is the only way to regain one’s equalibrium. It’s the inner view that is needed here, and lots of patience. There is also help just when you need it. Look to others who are inwardly peaceful and find your way to them. You are not asking anything from them. Just be. Observe. Sense and feel. Step one is to get quiet. Step two will have you making a declaration, and a commitment. Step three is the action piece, which happens in the moment. In the context of every moment there is a choice: to engage with an outside source or to stay centered and peaceful inside. Step one. two, three….